If you ask Brits or Americans with which wine they associate New Zealand, the response is almost certain to be “Sauvignon Blanc”. This is unsurprising as 86% of the country’s wine export is of that single varietal. Last year, New Zealand become the third largest importer of wine into the US by value. I admit that my experience and knowledge of Kiwi Sauvignon Blanc was limited to two wines from Marlborough: Kim Crawford and Cloudy Bay. Our office wine club had a recent opportunity to explore New Zealand Sauvignon Blanc from Marlborough and beyond. A colleague from that country having offered to curate our evening tasting. My colleague brought five bottles; two from Marlborough and the others from three other regions. 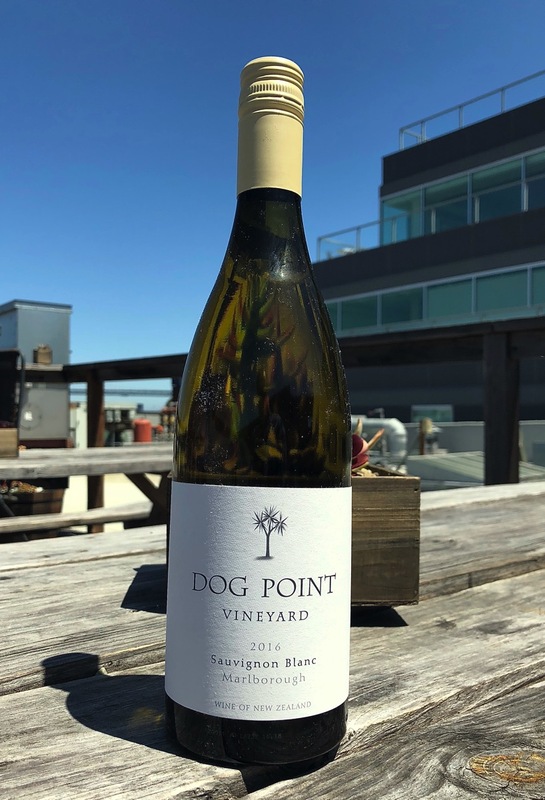 We started with a Marlborough wine: 2016 Dog Point, whose owning partners had previously worked at Cloudy Bay. The nose of mown grass was stereotypical New Zealand Sauvignon Blanc. Taking a sip, the expected acidity was counter-balanced by an intriguing creamy mouthfeel and supported by grass and grapefruit. A well-balanced wine at 12.5% alcohol and fermented in steel. It sells for $16 in the US. The second wine was an outlier. The Man O’War was made on Waiheke Island. It was a 2014 vintage, older than any of the other four wines by at least two years. It was the only wine in our session that was not 100% Sauvignon Blanc; it had 4% Sémillion added. The wine was of a deeper golden colour than the others. The nose was of nuts and nettles; one of my colleagues said the aroma reminded him of pea soup. There was the merest hint of effervescence as I took a sip. The flavours were a mix of grapefruit and almond with subtle notes of peach. 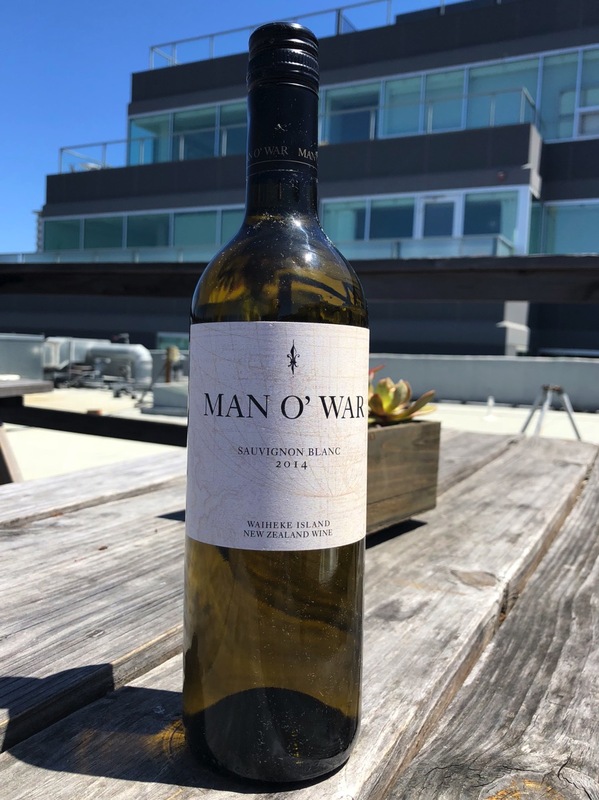 I suspect I would have been hard-pressed to identify this as a Sauvignon Blanc in a blind tasting. The event’s curator told us that the winery’s tasting room looks over a bay and can be reached by dirt road or by boat. The wine sells for about $18 in the US. 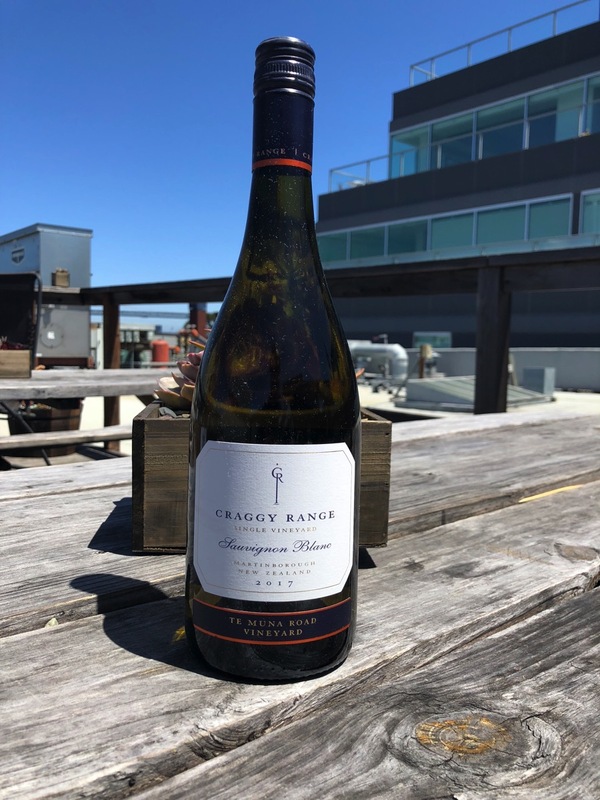 The third New Zealand Sauvignon Blanc was from the Craggy Range vineyard in the Martinborough region of the North Island. This wine had a nose of lime, mown grass, and sweaty socks. The grass aromas were less intense than those from the earlier Dog Point wine. The medium plus acidity wine had a subtle and complex combination of flavours: grapefruit, almond, pineapple, and a smidgeon of cream. This was recognizably a Sauvignon Blanc, but the balance was more to my liking than that of the Dog Point. This wine retails for $20 in the US. The penultimate wine was Mount Beautiful from North Canterbury; a region that is more commonly associated with Chardonnay and Pinot Noir than Sauvignon Blanc. The nose on this wine was of nettles and subtle aromas of mown grass. Medium plus acidity was softened by a slight creaminess combined with flavours of lemon and almond. This was a well-balanced, easy to drink, if unremarkable, example of New Zealand Sauvignon Blanc. We finished with Jules Taylor ($17) from Marlborough. The nose was distinctly of grass. The wine offered high acidity with flavours of grapefruit and grass. I have no doubt that my favourite wine of the session was the Man O’War. However, it is not all typical of the grape or the region; that is probably why I liked it so much. 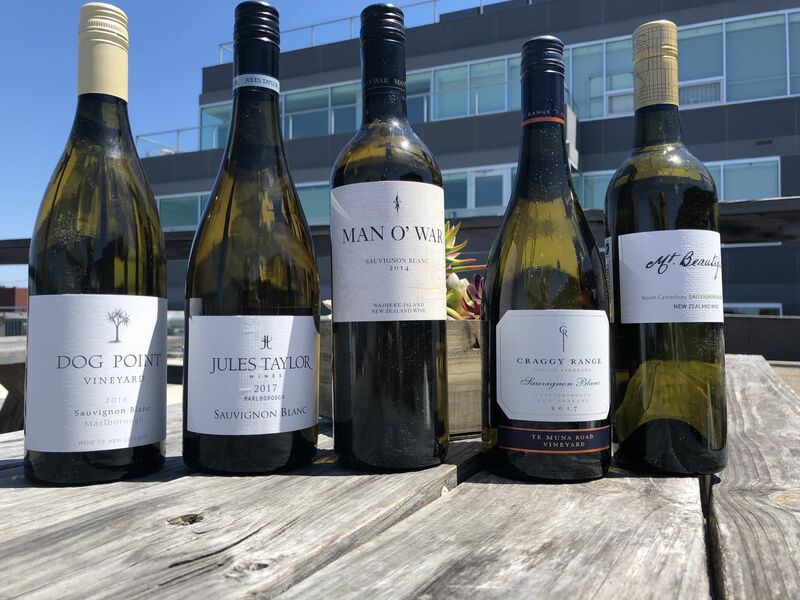 My initial thoughts were that the Jules Taylor was the best of the classic style New Zealand Sauvignon Blanc, but after a revisit to Craggy Range, I was less certain. Both of these wines are worth trying if you like New Zealand Sauvignon Blanc with its crisp citrus and grass notes. Great names. I must confess I am growing weary of NZ Sauv Blancs. However, in a blind tasting there is no better wine to have! Thanks for introducing me to some new producers. Certainly Sauvignon Blanc and New Zealand SB in particular are easy to identify in a blind tasting. The Man O’War sounds like the most interesting of the group to me as well. Cheers!